The endless battle over abortion rights in America saw a new chapter begin Wednesday, when abortion providers announced that they're suing the state of Arizona to try to block new rules regulating the use of abortifacient drugs. The suit, brought by Planned Parenthood Arizona and Tucson Women's Center, claims that new restrictions placed on medical abortions in the state will severely limit Arizonan women's right to choose. The new rules were issued by the Arizona Department of Health Services in January and are slated to go into effect on April 1. The regulations will undoubtedly make abortions more difficult, if not impossible, for some women in the state to obtain, but that's not due to some unintended effect of some an otherwise well-intentioned rule. Rather, it's part and parcel of a blatant and overarching national strategy by the Republican Party, at the state level, to halt abortion by any means necessary. The regulations are, by any standard, revolting: Women seeking medical abortions would have to take the drug twice, both times at a medical clinic, despite the drug being quite effortlessly and easily taken from home. 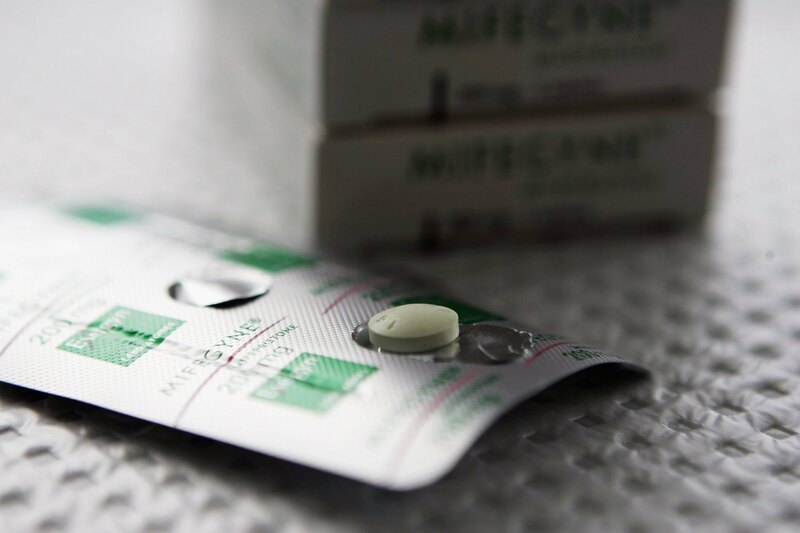 Women would also be prohibited from taking the drug after seven weeks into pregnancy rather than the nine permitted by current law; had this restriction been in place in 2012, roughly 800 women seeking medical abortions would have been forced to undergo surgical abortions instead, according to Planned Parenthood. That's bad enough as is, but the real travesty is this: Beyond simply preventing some women from exercising their right to receive an abortion — a right that's ostensibly still constitutional in this country — the rules actually make the process of medical abortion more dangerous. That's because they mandate that the most common abortion drug, mifepristone (often called RU-486), must only be administered by the directions listed on its FDA-approved label from 2000. That label states a much higher dosage of the drug than doctors use today, owing to the fact that since 2000, they've learned that you can use less, achieve the same result, and cut down on risk of health complications all at the same time. To be clear: These rules will not succeed in halting the use of mifepristone in Arizona for anyone who has the transportation, money, and free time (which many low-income women don't). But they will ensure that if a woman goes to all that extra trouble, at least she'll be a little more likely to get sick as a consequence. In plainest terms, that's a contemptible act. It's also in keeping with the blithe disregard for women's health that anti-abortion lawmakers have shown in many of their abortion-targeting laws — warring against funding for Planned Parenthood, for example, despite the fact that the organization provides a lot more essential health care, for millions of women, than it does abortions. This isn't even the first piece of anti-abortion news from Arizona this week — on Tuesday, their House passed a law allowing random, warrantless inspections of abortion clinics at any time.